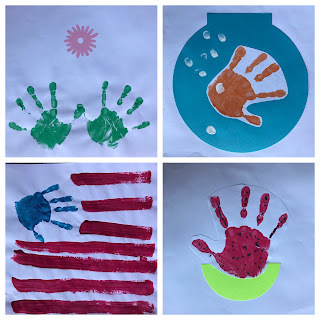 Home DIY Kids Handprint Calendar Ideas - Free Downloads! 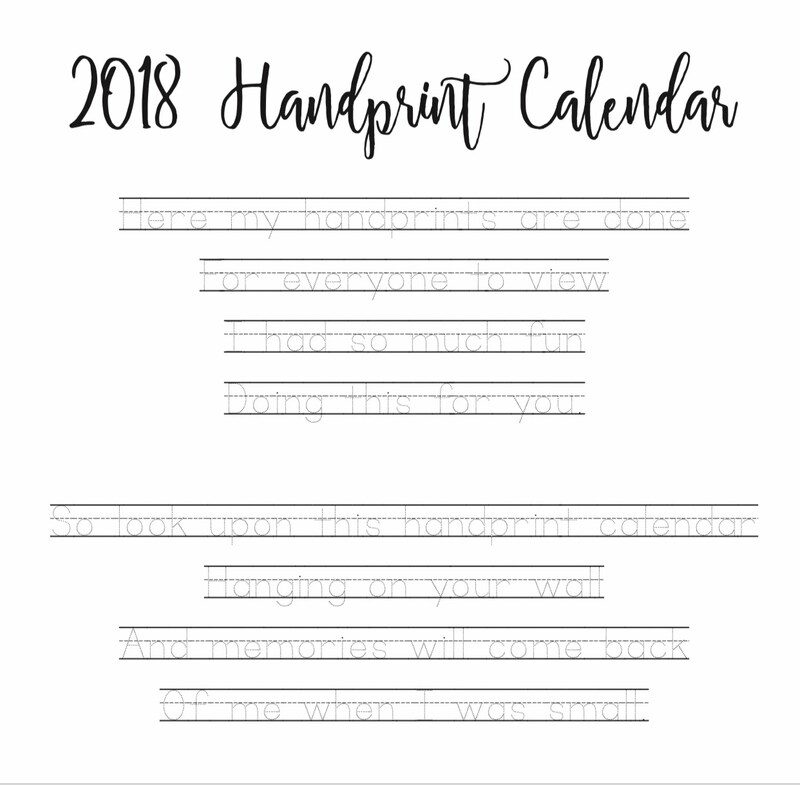 I'm one of the room moms for my son's Kindergarten class and we decided to make a handprint calendar for the kids to give to their parents for Christmas. We've been busy slaving away getting 12 sets of handprints for 17 children! Lots of cutting and gluing them onto 12 x 12 sheets, decorating, and keeping them organized but if I do say so myself they turned out pretty nice! 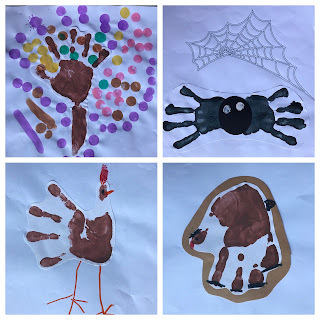 I love that each child's handprint design/artwork is unique. 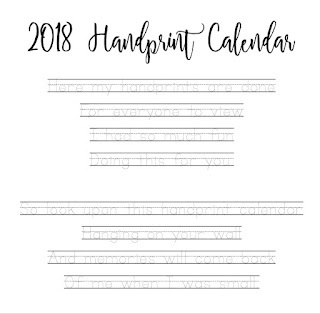 For the calendar cover we found this cute quote online and I chose a cute kid handprint font (click here to download). We had the kids color the full 12 x 12 then cut out the quote to glue on top. Our next step is to glue on the calendar template that I created (check out the post here to download) and then bind all the pages together to finish the calendar! 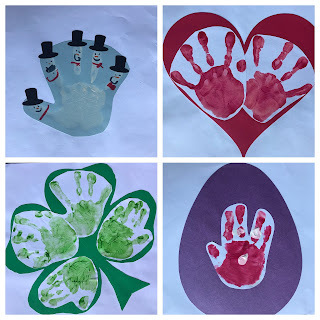 Here's a quick peek at our finished handprint pages. I think the parents will be pleasantly surprised! In case you are wondering, I used my cricut to cut out the shapes for the snowmen hats, heart, shamrock, easter egg, flower, fish bowl, watermelon rind, and to draw the spider web. Thank goodness for this cricut since it saved me countless hours for this project alone! 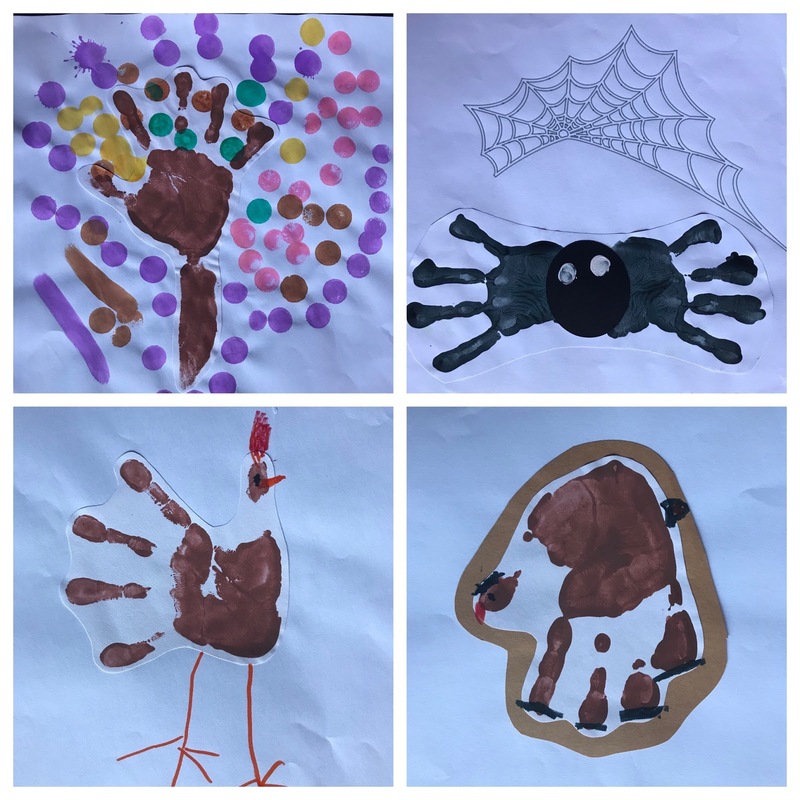 Here's an example of how we made October with the spider. 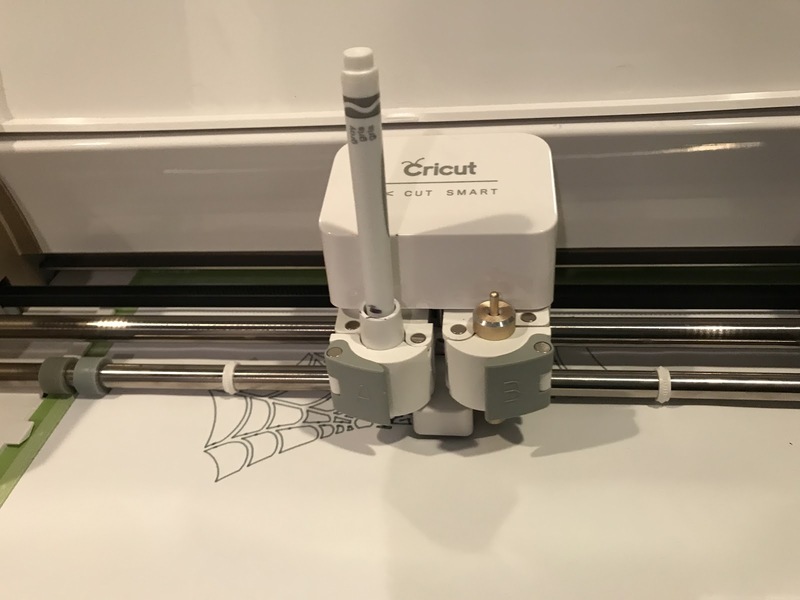 First, I used the cricut to draw the spider web onto 12 x 12 sheets of paper. 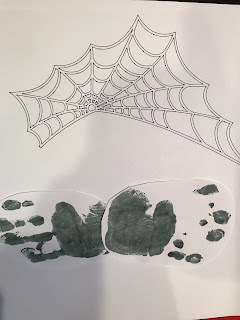 We got a set of black handprints and cut them out to place underneath the web. 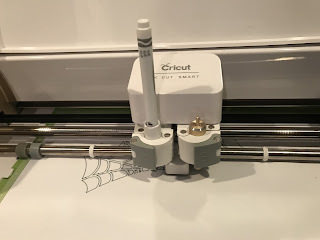 I used the cricut to cut out black circles and then we glued them on for the spiders face. Lastly, we had the kids use their fingerprints with white paint to dot the eyes for their spider.